Yoshitaka Amano, (born July 28, 1952) is a Japanese artist. 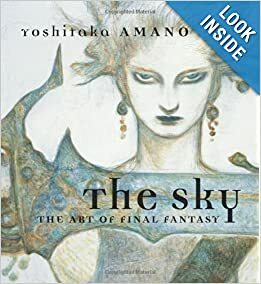 He began his career as an animator and has become known for his illustrations for the anime Vampire Hunter D, Shinjuku, and for his character designs, image illustrations and title logo designs for the Final Fantasy video game series developed by Square Enix (formerly Square). His influences include Western comic books, art nouveau, and Japanese woodblock prints. He has won awards for his work, including the 1999 Bram Stoker Award for his collaboration with Neil Gaiman, Sandman: The Dream Hunters. In early 2010, he established Studio Devaloka, a film production company.